Ever wake up regretting that last shot of Fireball? Well, now you can extend that regret all the way through breakfast. 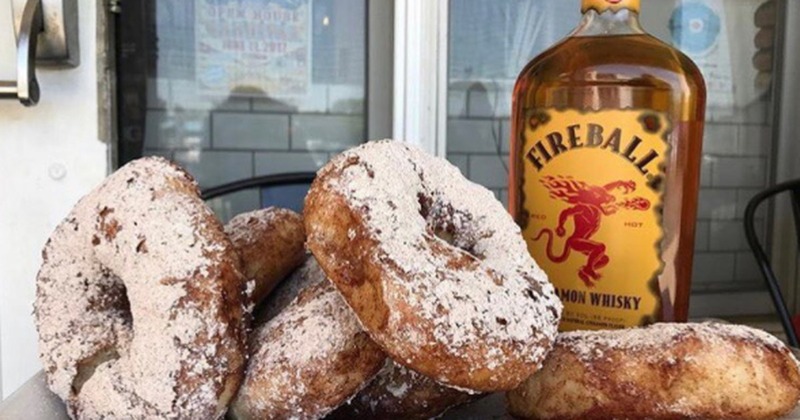 The Fireball bagel is the latest bizarre offering from The Bagel Nook, a bagel shop in Freehold, New Jersey. Per Delish, the semi-boozy treats are made by pouring a bit of Fireball into the bagel dough itself, then dunking the finished bagels in a glaze made from even more of the liquor (reduced, of course, so it’s not actually alcoholic). It’s served with a sprinkle of cinnamon sugar and a hearty schmear of apple pie cream cheese. Something tells us it might also be good with hazelnut cream cheese? Someone test this for us, please. And if it cures any of your Fireball-induced hangovers, please also drop us a line.